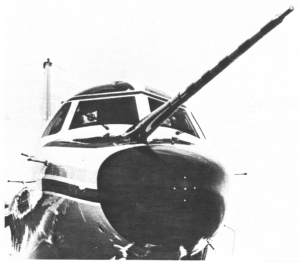 Air data can be acquired by mean of mechanical probes protruding from the airframe. In many cases was also possible to find a placement for the probe that is out of the body modified airfield. Very common is the nose mounted air data boom. In Figure 1 you find one mechanical air data boom tested within a wind tunnel in 1958 (Source: NASA). 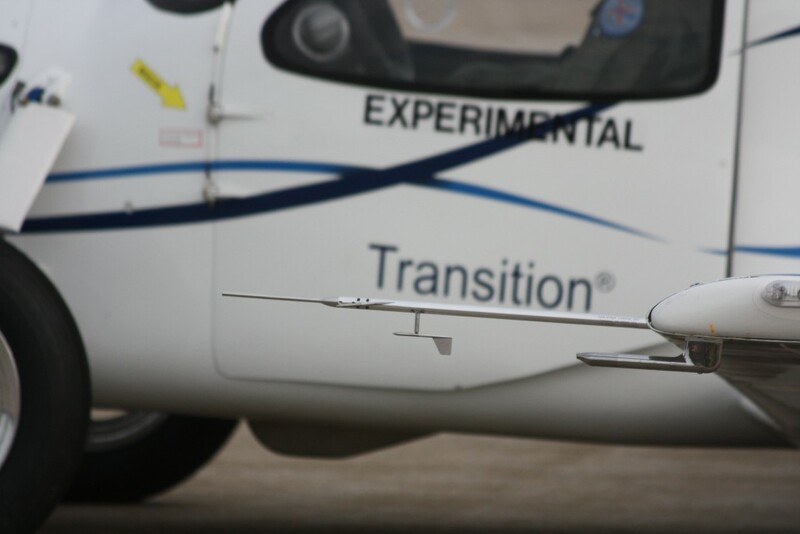 Mechanical Air Data Booms are able to reach a notable degree of accuracy and are used in some modern applications, you see a miniature mechanical Air Data Boom mounted on the Terrafugia prototype in Figure 2. Apart the weight and the size, this solution should deal with its intrinsic mechanical nature, mechanical-friction, inertia and robustness consideration are of high impact on overall probe design and performances. Mechanical related problems are exalted in both at low and high airspeed. At low airspeed, we have a low aerodynamic force to win the wind vanes frictions. 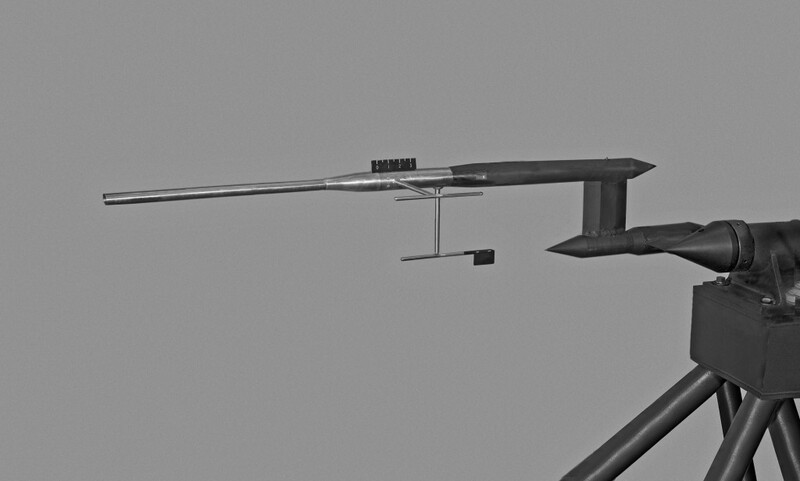 At high airspeed, the aerodynamic damp of the wind vane will decrease and can lead to an unacceptable dynamic behavior. Anyway, an alternative to the classical probes is to reconstruct wind direction using multiple pressure readings. That defines two big families of probes the first is the so-called Multi Holes Probes and the second the Flush Airdata Sensors. The pressure at ports is correlated to the relative wind magnitude and direction, you find a developed example of the angle of attack measurement case in this link. This kind of probes is used usually in many research and industry fields, including turbomachinery. MHP probes can reach dimensions under the 6 mm diameter. FADS are similar under many aspects to MHP but the probe surface is usually one airframe surface exposed directly to the air stream. In many cases, the sensor openings are over a modified nose cone. Refer to Figure 4, here you find a FADS system; description of the system here. This kind of probe is commonly used in research applications. Many studies were conducted by Langley NASA research center for the shuttle space program [page 6]. Dryden Flight Research center continued the work and produced different interesting articles. You can find notable information within this NASA work or in this work on X-33 FADS. Regarding real time data reduction consideration please consider that other article. Both the families of probes can reach notable performances. Calibration, both aerodynamic and of single pressure sensors, and reduction algorithms for the FADS can pose a more that respectable practical problem. I’ve no notice, to date, of any DIY probe of that kind. It ss to be noted that DIY aircraft have reduced flight speeds, that signifies that magnitude of pressures measured or measured differential pressures has really a small value; for a medium demanding application, we may need to have pressure measurements accurate to about a Pa. It’s clear that an extremely well-calibrated measurement hardware is needed. It seems neither easy nor cheap to go under one degree of overall accuracy. As many users are interested in the topic we will develop it in time and publish the results online. For the same reason if you think you can contribute to development please enter in contact with us.